During today's Nintendo Treehouse E3 2016 livestream, Nintendo featured Pokemon Go and touched on what we might see in the game that some field beta testers are already enjoying now. 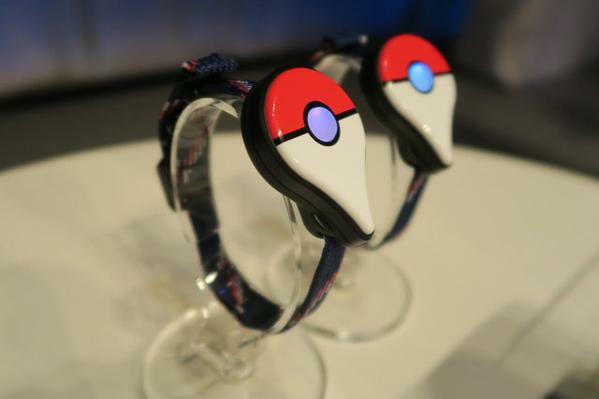 Shigeru Miyamoto was on hand to show off the upcoming features for Pokemon Go, including the special Pokemon GO Plus device, which is actual a wearable accessory with a special Bluetooth connection that allows players to interact with Pokemon without checking their phones. The device should be ready come July, and it'll run you $35. The device has light indicators that flash green and it will vibrate if a Pokemon happens to be nearby. You can "throw" a Poke Ball if you stumble upon one, and the light will change to a rainbow pattern if you capture the monster or red if you fail. Nintendo's focus is to eventually develop the app to the point where you can capture all of the Pokemon from both Red and Blue versions in the end, as currently all of the monsters aren't yet included in the app. It'll mostly be Pokemon Red and Blue characters that are available when the app launches since it's the 20th anniversary of both of those games. Right now the game is currently available for early beta testers after signups went live a month ago. If you weren't selected (which I wasn't unfortunately) you can look for a complete release soon, which can't come quickly enough.